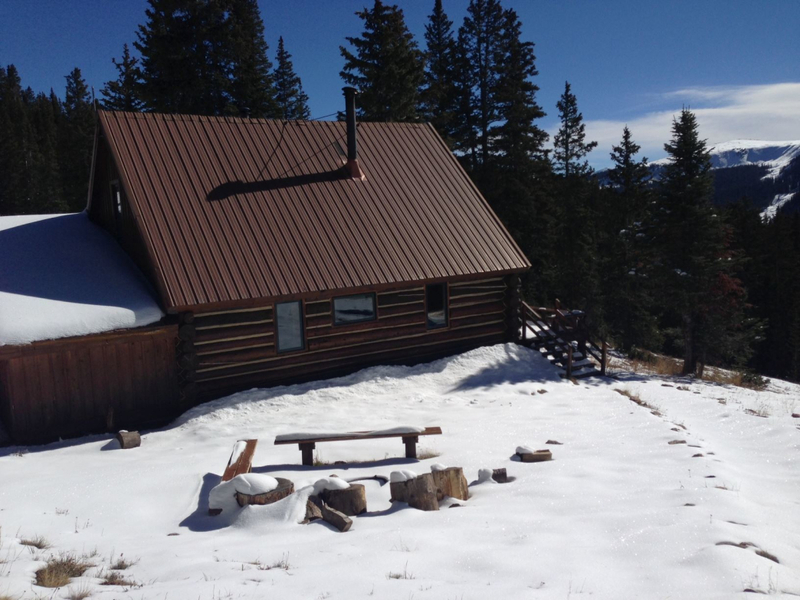 Aspen offers access to several of Colorado’s famous 10th Mountain Division Hut Association. Named for and dedicated to the soldiers who trained in the area for high-alpine combat in the Italian Alps during World War II, the 10th Mountain Division Hut system provides physically fit and experienced backcountry skiers and hikers, and six to 16 of their friends, with the opportunity to tour/skin or snowshoe in the winter or hike in the summer to these incredible, off-grid cabins. Margy’s, McNamara and the Benedict Huts are the closest 10th Mountain Division huts to downtown Aspen. The huts are stocked with wood, mattresses, pillows, dining plates and utensils, pots and pans and basic seasonings. Some cabins offer propane ranges for cooking and others offer a wood-burning cook-top. There are well-kept outhouses. Guests will often boil/melt snow for drinking and cooking water, rather than carrying water in. There is no running water and the lights are solar-powered. Margy’s and McNamara Huts Margy’s and McNamara were funded by Robert McNamara (former secretary of defense) and friends, in memorial to Robert's wife Margy. Both huts comfortably accommodate 16 people. Margy’s Hut is recommended if you’re up for a slightly longer and more aggressive skin. Located about 10 miles northeast from downtown Aspen, Margy Hut sits on a lightly treed hillside just below timberline at 11,300 feet. The hut offers epic views of the Elk Mountains to the south. The main winter route into Margy's Hut follows Lenado’s FS 103 to the Johnson's Creek Trail for 6.3 miles and features an elevation gain of 2,660 feet. The trail climbs steeply along Johnson's Creek until it intersects FS 103. The route then follows FS 103 to FS 526 and on to the hut. Located at 8,380 feet, McNamara sits above Hunter Creek Valley and is the preferred adventure for less experienced in backcountry touring or hiking. The hut is known for its cozy charm, and lends itself to exploration of the surrounding forests. The recommended approach, from the Upper Hunter Creek access point, begins along a multi-use jeep road which offers a moderate grade. The skin or hike from the access point to the hut is 5.8 miles and features an elevation gain of 1,980 feet. Benedict Huts Tucked into the wilderness above Aspen, the Benedict Huts were built in 1997 to honor the late Fritz Benedict and his wife Fabi, two important founders of the 10th Mountain Division Hut System. It’s possible to tour or hike to or from McNamara, but half of the trail between McNamara Hut and the Benedict Huts passes through a primitive Wilderness Area and trail signage is limited. The shortest winter access point begins from the Upper Hunter Creek parking lot as well. The route climbs steeply out of the Hunter Creek Valley for two miles to the top of Smuggler Mountain and the last three miles offers a more moderate climb. Getting to Benedict Huts requires a five- to six-mile skin and 2,590 feet in elevation gain. The Fritz hut sleeps 10 people and Fabi sleeps six. The huts must be booked separately. Those who are up for a backcountry adventure and may want a bit more accommodations than just typical camping. All 10th Mountain Division Huts require advance reservation—sometimes several months in advance—and fees. It’s imperative that you have topographical maps and clear directions when setting out on your approach to a 10th Mountain Division Hut. Those accessing the huts in the winter months have proper avalanche gear and backcountry knowledge. Please visit the 10th Mountain Division Huts website for maps, directions, details and reservations. Stop by Ute Mountaineer in downtown Aspen to pick up maps, grab last-minute gear and ask knowledgeable employees any questions you might have.